While spending your Caribbean vacation in Barbados, take the opportunity to explore some of the other islands in the Caribbean. The islands are very different, with each having unique features - from the waterfalls of Dominica to the Piton mountains and sulphur springs of St. Lucia; the Amerindian culture of Guyana to the breathtaking natural beauty and bio-diversity of Tobago! You can choose to fly to the islands on one of the inter-island planes, charter a catamaran for a cruise through the islands, take a Caribbean cruise or for the more adventurous, try an exciting Adventure package which includes hiking. 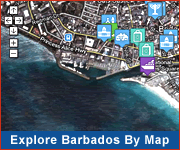 Visit a local travel agent while in Barbados for help in arranging your Caribbean exploration adventure! 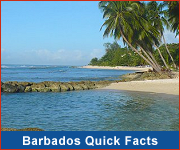 There is presently no ferry service between Barbados and the other Caribbean islands. If you're planning a trip to the lovely island of St. Lucia be sure to visit BookingsStLucia.com! Find St. Lucia accommodation, compare on price and features and then book online directly with the property.